Enter your details and we will get you the best package possible for your requirement. On arrival at the Port Blair Airport, our tour executive will pick you and drop you at the hotel where you can relax for a while. Post lunch, you’ll be driven to the Corbin’s Cove Beach-a beach with scintillating beauty... Relax and enjoy private moments at coconut palm lined beach. Get some sun tan or explore swimming in the gleaming waters. 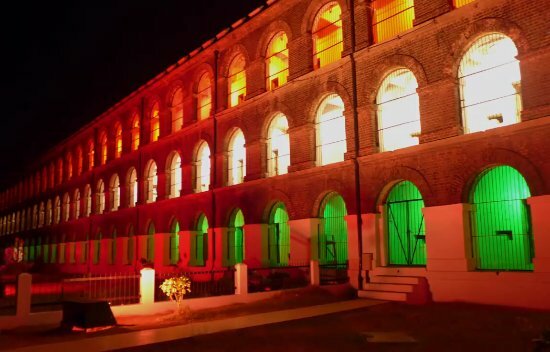 In the evening, vent your patriotism by experiencing the life of freedom fighters in the Cellular Jail in Light and Sound Show....Various artists will enact the life of our heroes here. Night stay at Port Blair hotel! Post breakfast, we proceed to Ross Island by boat. Here to get to see the glimpses of the British era. 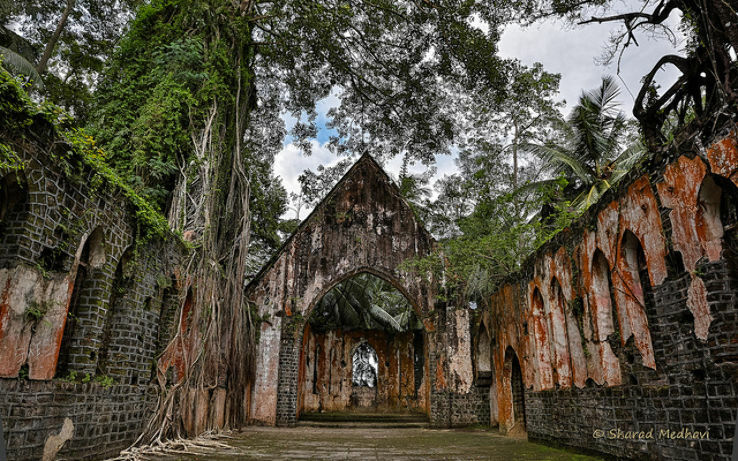 Ross Island once a prominent place in the British era is now ruined due to earthquake. You can witness the ruins of Government House, Chief Commissioner's House, Bakery, Church, Press and more. The same boat will carry you to experience the incredibly beautiful marine life at the North Bay or the Coral Island. Get a close look at the coral reefs by snorkeling or you can take a ride in the glass bottom boat ride and enjoy the exquisite beauty of the nature without getting wet. You can also take a dip in the sea at this island. You’ll be taken to a shopping excursion where you can pick gifts and souvenirs for your family and friends. Night stay at hotel in Port Blair. Take home beautiful memories of the Andaman holidays. You will be dropped at the Airport by car. On arrival at the Port Blair Airport, our tour executive will pick you and drop you at the hotel where you can relax for a while. Post lunch, you’ll be driven to the Corbin’s Cove Beach-a beach with scintillating beauty...Relax and enjoy private moments at coconut palm lined beach. Get some sun tan or explore swimming in the gleaming waters. In the evening, vent your patriotism by experiencing the life of freedom fighters in the Cellular Jail in Light and Sound Show....Various artists will enact the life of our heroes here. Night stay at Port Blair hotel! In the morning we proceed to the Havelock Island, a famous tourist destination. On reaching the island, our tour executive will drop you at the resort. Enjoy the resort facilities and enjoy some “we time” at the beachside resort. Later, we take you to one of the most beautiful beaches that’s blessed with white sands, emerald blue waters and lush greenery. After this, we drop you to the resort. We take you to the most romantic trip, a 40 min ferry ride to the Elephant beach, where you can enjoy various water sports including snorkeling in the crystal blue waters. You don’t need to know swimming to participate in the adventure. The reefs start quite close to the shore in shallow waters, just 1 meter deep. Enter into the enchanting sea world, view abundant marine life floating and get mesmerized by the most fulfilling experience of your life. You’ll be taken for shopping excursion where you can buy gifts and souvenirs for family and friends. Night stay at resort in Havelock! After breakfast, we take you for Port Blair City tour which covers interesting places like the Naval Marine Museum, which gives an insight into the enchanting history of the marine life, coral reef, the history, geography and archaeology of the island. Next, we take you to Asia’s oldest sawmill- Chantham Saw Mill. Gear up to view the Forest Museum where you get a glimpse of beautiful wood artefacts. Enjoy walking in the zoological garden and capture photo moments. We also visit the Aquarium that showcases marine life of Andaman. We go to visit the awesome, white sandy Sitapur Beach. Do not forget to click amazing pics at this photo perfect beach with beautiful landscape. After that, enjoy the “never before” Sunset experience at the Laxmanpur beach. After this, take a ferry to Port Blair. Once you arrive at Port Blair, our tour executive will drop you at your hotel. Explore the local market for shopping for gifts and souvenirs. We go to visit awesome, white sandy Sitapur Beach. Do not forget to click amazing pics at this photo perfect beach with beautiful landscape. After that, enjoy the “never before” Sunset experience at the Laxmanpur beach. Night Stay at Neil Island! In the morning we proceed to the Havelock Island, a famous tourist destination. On reaching the island, our tour executive will drop you at the resort. Enjoy the resort facilities and enjoy some “we time” at the beachside resort. . In the morning, we proceed to the Neil Island. You’ll be dropped at your hotel where you can relax. After that, we take you to explore the secluded Bharatpur beach, famous for its calm, clear water and a perfect spot for lovebirds. Celebrate togetherness with thrilling experiences of snorkeling, jet ski ride and for those with a lesser adventurous taste, experience the beauty of corals and marine life through glass bottom boat. Overnight stay at respective hotel or resort at Neil Island. In the morning, take a ferry to Port Blair. 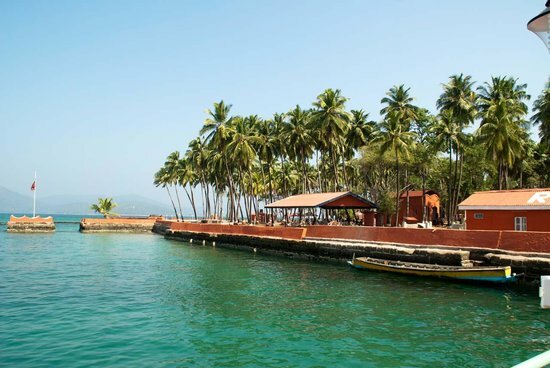 Our tour executive will drop you at the hotel once you land at Port Blair. In the afternoon, spend some “we time” at the famous Chidiyatapu Beach, home to beautiful birds in their natural habitat. The scenic beauty created by the mangroves on one hand and white sandy beach creates alluring atmosphere when sun downs. We’ve arranged for shopping trip in the local market where you can buy gifts and souvenirs. Night Stay at Port Blair. We proceed to Baratang Island. Be ready to get captivated by the abundant natural beauty as your boat passes through fascinating Mangrove and leads you to the trek to Lime Stone Cave. Enroute you’ll see the Jarawa tribe as we travel through the tribal reserve. Cherish the experience of walking through the thick forest to reach the Limestone Caves. Witness the Mud volcano. Later proceed to Port Blair. We proceed to Baratang Island. Be ready to get captivated by the abundant natural beauty as your boat passes through fascinating Mangrove and leads you to the trek to Lime Stone Cave. Cherish the experience of walking through the thick forest to reach the Limestone Caves. Witness the Mud volcano. Later proceed to Port Blair. Post lunch, we proceed to Rangat to visit the Amkunj beach famous for its stunning view and capture beautiful memories of this scenic extravaganza. Later we proceed to Mayabunder Island, which is 252 kms drive from Port Blair. Night stay at Mayabunder hotel. We move to Diglipur, where we take you to the place that’s inherently romantic, the Ross and Smith islands. The twin islands offer a fascinating view as the two islands are separated through a narrow sand bar. Enthrall yourself with the exciting experience at the virgin beaches as you walk on the sand bars surrounded by emerald waters. Night stay in Rangat! After breakfast, we drive you to Port Blair, which is 170 kms. Night stay at hotel in Port Blair. After having an early breakfast, we proceed to the Havelock Island, a famous tourist destination. On reaching the island, our tour executive will drop you at the resort. Enjoy the resort facilities and enjoy some “we time” at the beachside resort. In the morning, we proceed to the Neil Island. You’ll be dropped at your hotel where you can relax. After that, we take you to explore the secluded Bharatpur beach, famous for its calm, clear water and a perfect spot for lovebirds. Celebrate togetherness with thrilling experiences of snorkeling, jet ski ride and for those with a lesser adventurous taste, experience the beauty of corals and marine life through glass bottom boat. Overnight stay at respective hotel or resort at Neil Island! We take you for Port Blair City tour which covers interesting places like the Naval Marine Museum, which gives an insight into the enchanting history of the marine life, coral reef, the history, geography and archaeology of the island. Next, we take you to Asia’s oldest sawmill- Chantham Saw Mill. Gear up to view the Forest Museum where you get a glimpse of beautiful wood artefacts. Enjoy walking in the zoological garden and capture photo moments. We also visit the Aquarium that showcases marine life of Andaman. Afternoon, proceed for Chitayatapu Beach- where lush green mangroves and beautiful beach with breath-taking sunset creates a mesmerizing environment Overnight stay at respective Hotel / Resort at Port Blair. On arrival at the Port Blair Airport, our tour executive will pick you and drop you at the hotel where you can relax. Post lunch, you’ll be driven to the Corbin’s Cove Beach-a beach with scintillating beauty...Relax and enjoy private moments at coconut palm lined beach. Get some sun tan or explore swimming in the gleaming waters. In the evening, vent your patriotism by experiencing the life of freedom fighters in the Cellular Jail in Light and Sound Show....Various artists will enact the life of our heroes here. Night stay at Port Blair hotel! We take you to the place that’s inherently romantic, the Ross and Smith islands. The twin islands offer a fascinating view as the two islands are separated through a narrow sand bar. Enthrall yourself with the exciting experience at the virgin beaches as you walk on the sand bars surrounded by emerald waters. Take a romantic walk at Andaman’s first bridge the Austin Bridge. Night stay at hotel in Rangat. On arrival at the Port Blair Airport, our tour executive will pick you and drop you at the hotel where you can relax for a while and enjoy the breakfast. After that, we take you for Port Blair City tour which covers interesting places like the Naval Marine Museum, which gives an insight into the enchanting history of the marine life, coral reef, the history, geography and archaeology of the island. Next, we take you to Asia’s oldest sawmill- Chantham Saw Mill. Post lunch, you’ll be driven to the Corbin’s Cove Beach-a beach with scintillating beauty...Relax and enjoy private moments at coconut palm lined beach. Get some sun tan or explore swimming in the gleaming waters. In the evening, vent your patriotism by experiencing the life of freedom fighters in the Cellular Jail in Light and Sound Show....Various artists will enact the life of our heroes here. Night stay at Port Blair hotel! In the morning, we proceed to the Neil Island. You’ll be dropped at your hotel where you can relax. After that, we take you to explore the secluded Bharatpur beach, famous for its calm, clear water and a perfect spot for lovebirds. Celebrate togetherness with thrilling experiences of snorkeling, jet ski ride and for those with a lesser adventurous taste, experience the beauty of corals and marine life through glass bottom boat. Next, we go to visit awesome, white sandy Sitapur Beach. Do not forget to click amazing pics at this photo perfect beach with beautiful landscape. After that, enjoy the “never before” Sunset experience at the Laxmanpur beach. You’ll be dropped at your hotel in the evening. We take you to India’s most spectacular place, the Havelock Island. You will be guided to a ferry ride to Havelock. On reaching the island, our tour executive will drop you at the resort by the beach. Relax and enjoy the resort facilities. Later explore Asia’s most loved beach- the Radhanagar Beach. Bask in the white sands of the beach, go for a walk or soak in the beauty of the blue green waters of the sea. You’ll be enchanted by the beauty of this serene beach which remains secluded and offers a perfect getaway for the couples. Night stay at Havelock! We take you to the most romantic trip, a 40 min ferry ride to the Elephant beach, where you can enjoy various water sports including snorkeling in the crystal blue waters. You don’t need to know swimming to participate in the adventure. The reefs start quite close to the shore in shallow waters, just 1 meter deep. Enter into the enchanting sea world, view abundant marine life floating and get mesmerized by the most fulfilling experience of your life. Night stay at resort in Havelock! Board a Government ferry from Havelock to reach Long Island. Relax and rest at the hotel. Explore the virgin silvery beaches at the Lalaji Bay. Explore the cozy cave, vast marine life, go scuba diving or enjoy walking with your beloved over a 6km trek. Take ferry to Rangat from Long Island in the morning. Rest and relax at your hotel, go for a small walk and enjoy the facilities of your resort. Early morning we proceed to Diglipur. Visit the Amkunj beach famous for its stunning view and capture beautiful memories of this scenic extravaganza. Enjoy a memorable experience as you walk through 720 meters of Dhannilah Mangrove walkaway on the narrow bridge covered by dense forests on both the sides. The natural beauty of the greens, the fresh air and the serenity is worth a million dollar! Enjoy the stunning view of Panchvati Waterfalls gushing out through the stony rocks. Spend some quality time at the Karamatang beach and view the turtle nesting( if you happen to be around in the nesting season). Night stay at Diglipur! We take you to the place that’s inherently romantic, the Ross and Smith islands. The twin islands offer a fascinating view as the two islands are separated through a narrow sand bar. Enthrall yourself with the exciting experience at the virgin beaches as you walk on the sand bars surrounded by emerald waters. Night stay in Rangat! Creating beautiful memories for our clients by offering incredible Andaman Holiday packages and unparalleled services at unbeatable prices! (MG Road) | Port Blair | A & N Islands - 744101.